Departure Points: Naples or Sorrento ONLY. Includes: Services of your private, licensed local tour guide, private transportation and parking. NOTE: This tour is only available from Naples or Sorrento. No tours available from Benevento as all your guide originate from Sorrento and Naples. Benevento to Naples – 1hr 30 mins. Benevento to Sorrento – 2 hrs. 5 mins. The town of Benevento, 40 miles northeast of Naples, has a rich and complex history stretching back even before Rome. Benevento became an important colony of the Roman Empire, thanks to the Appian Way the Romans constructed through here to get to Brindisi and sail to Greece and to the East. On your guided tour, you will see a very well preserved Roman Theater (still in use) and the Arch of Traian, probably the best arch ever made by the Romans for celebrating an emperor. The Church of St. Sofia is an impressive memory of the Middle Ages, when Benevento was ruled by the German Longobards. 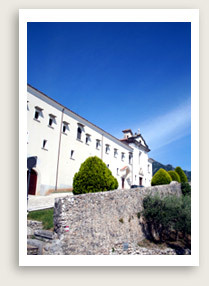 Another interesting site you can visit here is the Museo del Sannio, a museum rich in pre-Roman archaeology.